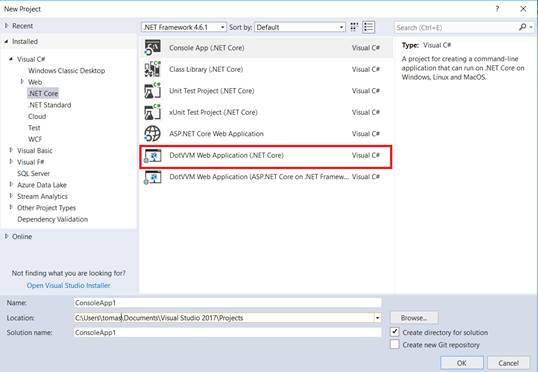 In this article, we will learn the step-by-step method to create your first DotVVM application in .NET Core. 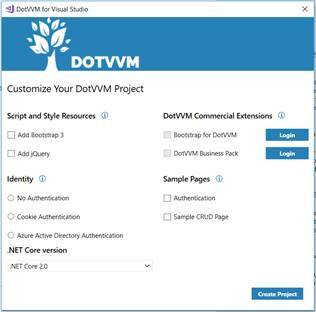 After you have successfully installed the extension, you can create a new DotVVM project using a Visual Studio project template. The application’s basic configuration is in the Startup class, where services and middlewares are registered. The structure is not a strict rule. You can move your Views/ViewModels around if you want to. An instance of DotvvmConfiguration has several properties, which are used to setup routing, resources, custom controls, etc. Is set up using the DotvvmConfiguration.RouteTable property. Using AutoDiscoveryStrategy. This way routes are derived from your folder structure in the Views directory. If you have resources dependent on other resources, you should use the IResource.Dependencies property. 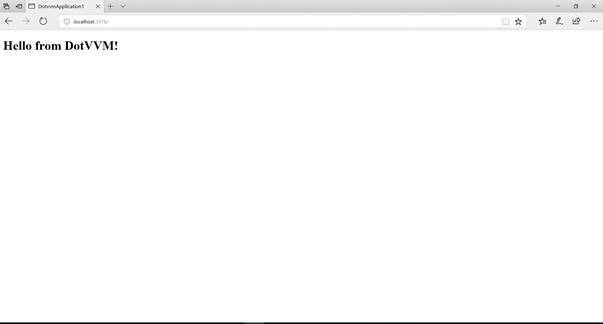 If you have custom DotVVM controls, you must register them in the DotvvmConfiguration.Markup property. You can read more about configuration here. When you run the application, it will render the View that is registered in the routing table for the root URL.